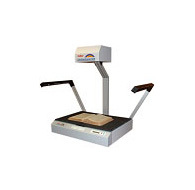 Digital Imaging System - Color Face-Up Publication Scanner Fast, cost effective scanner for color publications, books,magazines, manuals and historical materials. 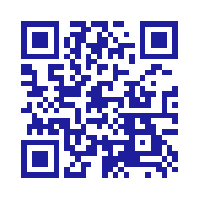 Scan speed 3.4 seconds per page Resolution 200dpi, 240dpi, 300dpi, 400 dpi, 600dpi Automatic compensation for center curvature of bound volumes. Auto erasure of centerline shadows, outside borders and finger images. TWAIN driver with SCSI-2 connector for easy PC hookup. 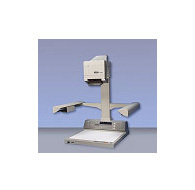 Overhead Platform Scanner - Bitonal, Gray-level or Color Book cradle supports larger books and page leveling Suitable for digitizing maps, surveys with photos, architectural plans, historical documents, up to DIN A2 16.54" x 23.39" 35 million pixels color resolution Auto focus, MS Windows with BCS-2 300-600dpi - scan time 2.9 sec. 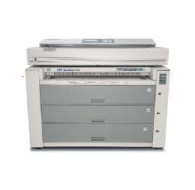 - color depth 30 bit Exclusive extended head allows for scanning sizes of 28.3"x 18.5"
8 1/4x10 3/4" screen 17x to 54x Sharp image quality 10 lbs. 110v-230v, 12V adap. 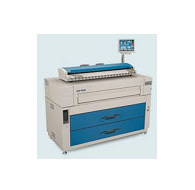 98% viewing source 9 7/8" x 12 5/8" Screen 19x to 80x mag. 13 lbs.